EDL Energy, a leading global producer of sustainable distributed energy, currently owns and operates an international portfolio of over 990MW of power generation facilities in Australia, North America and Europe, utilising a range of fuel sources operating in five main areas: landfill gas, waste coal mine gas, wind, solar, remote energy, natural gas (NG, CNG & LNG) and diesel. EDL Energy is an Australian based, international provider of safe, clean, low greenhouse gas emissions energy, renewable and remote energy solutions. We own and operate a diverse, global portfolio of over 990MW of power generation in two core business areas – Clean and Remote Energy. EDL will continue to pursue opportunities to assist customers to switch from diesel fuels to Liquefied Natural Gas (LNG) and Compressed Natural Gas (CNG) as a viable, alternative long-term energy source for power generation and transport. We have also developed an innovative haulage system for delivering CNG to remote power stations that service mining operations and remote communities. Safety is EDL’s number one priority in the development and operation of its projects. We work closely with our customers, suppliers and stakeholders to ensure we achieve continuous improvement in our safety culture, processes and behaviours. The commercial use of landfill gas as a fuel requires gas to be extracted at a reasonably-consistent flow and quality. EDL has achieved this by drilling a pattern of vertical gas extraction wells linked by underground pipes to a gas collection facility. The entire system is maintained under a vacuum, inducing landfill gas to flow into the collection facility, where gas processing reduces moisture and filters out fine particles. The processed landfill gas is then used as a fuel in either gas engine or gas turbine generators. The power generation facilities are interconnected with a power grid to enable the sale of electricity produced. EDL developed and owns one of the world’s largest Waste Coal Mine Gas (WCMG) power generation operations at the Appin and Tower coal mines in New South Wales, Australia. This 97MW operation was completed in 1996 established EDL as the world leader in WCMG power generation. 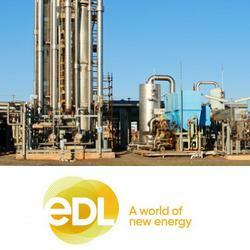 EDL owns and operates two wind farms, Cullerin Range Wind Farm in New South Wales and Wonthaggi Wind Farm in Victoria. EDL delivers safe, innovative, reliable, secure power generation solutions to standalone resource projects and remote communities throughout Australia. We have numerous Remote Energy operating sites located throughout the mainland states of Australia, and we are the largest independent remote energy producer in Australia operating in the up to 100MW market. We are experienced in pipeline gas, LNG, CNG and diesel fuel and with reciprocating, open cycle and closed cycle gas turbine generation technologies. We have the capability and the experience to match the best fuel and generation solutions with renewable energy or waste heat recovery technologies to meet our customer’s needs. EDL is involved in project development, finance, design, operation and maintenance of international power generating and energy delivery projects. Generating and selling environmental credits in international, national and state-based schemes. EDL’s customers are typically large public companies or government bodies including Origin Energy, Anglo American, South32, Horizon Power, Territory Generation and Glencore. Other customers include large energy retailers and owners of landfill sites. We are focused on significantly increasing its installed generation capacity through upgrading capacity at existing facilities and developing new power stations.